Some 300 million years ago water, seeping through limestone, dripped into the huge hollow cavern below. 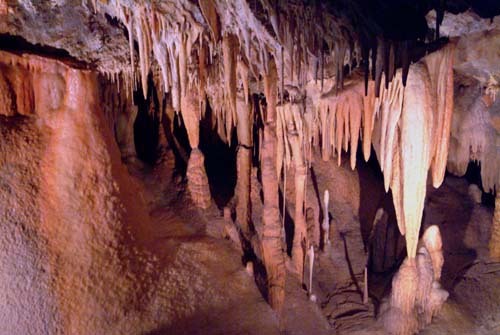 Combined with calcium carbonate and other chemicals the stalactites and stalagmites that we see today started to form. Often the forms meet each other and create a column.